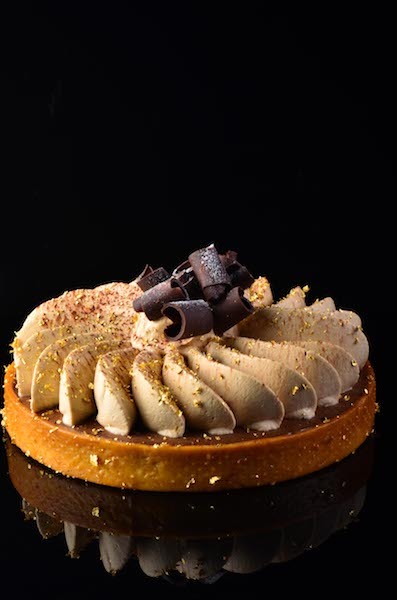 With a humble start in 2012 in Malaysia, today this forum invite crème de la crème pastry chefs, Chocolatiers, Master Bakers & Avant Garde chefs from all over the world. 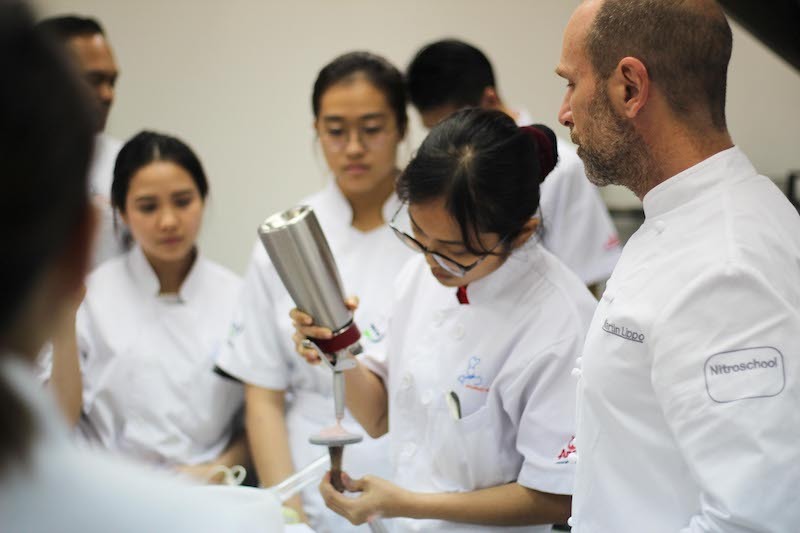 The Asia Pastry Forum 2018 was extended to 24 days where 19 world class Pastry chefs come to conduct workshops. Participating chefs were executive Pastry chefs, Professionals, Professors, business owners and pastry / Culinary. Approx. 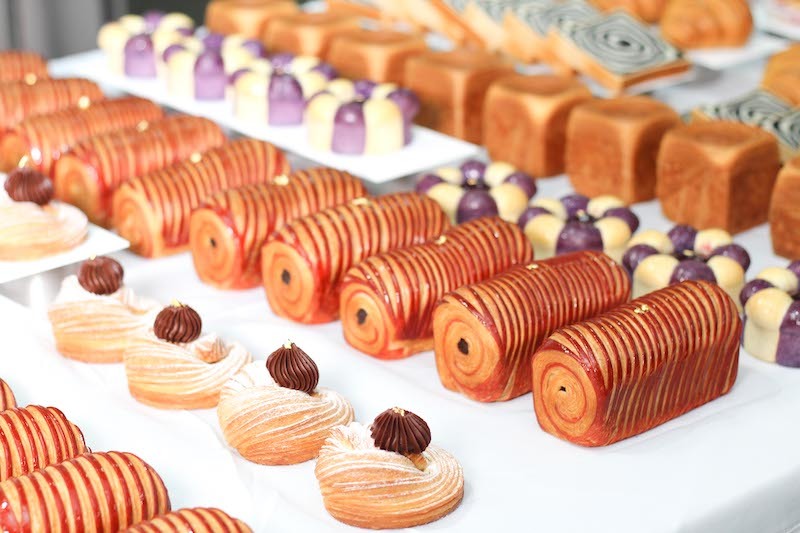 200 professionals and 120 students attended the Pastry forum and take back with them different skills and exposure. There were participants from more then 40 different countries this time, which is great as we could see them coming from USA, Europe, North Africa, Middle east, china, Asia Pacific & Australia. Best part of the forum was that students can choose from 1 workshop to 8 workshops as every 3 days there were different sets of classes going on. Many of the professional are regular, as they take the forum as their yearly learning. Every year these participants come to take workshop looking at their needs and skill they want to upgrade. 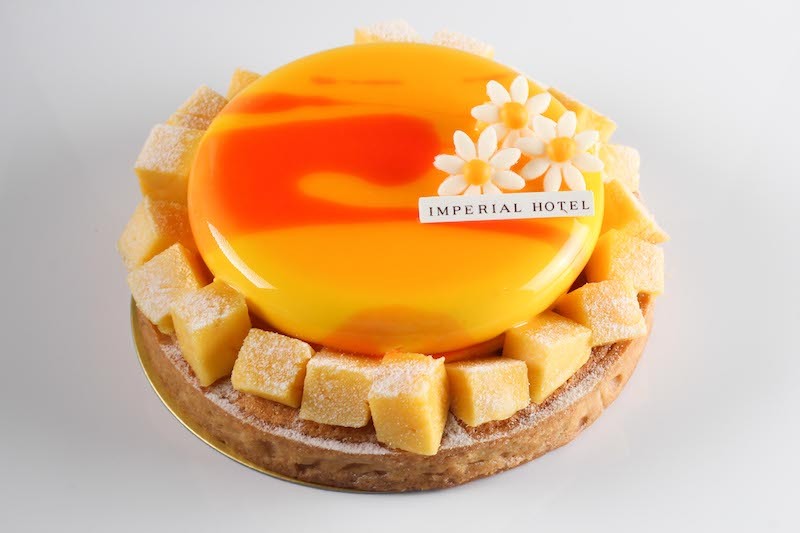 MOF like Jean Francois Arnaud, Angelo Musa, Arnaud Larher took workshops on French pastries & cakes. MOF Stephane Treand , MOF Frederic Hawecker and Master chocolatier Christophe Morel works on bean to bar, pralines candy making and chocolate display and sculpting. 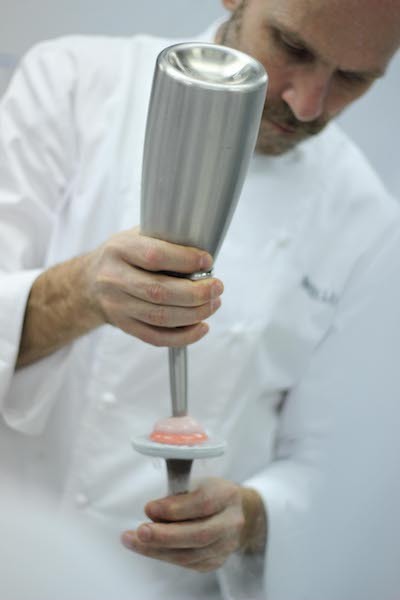 MOF Sebastien Chevalier took workshops on artisan breads and Venoisserie. 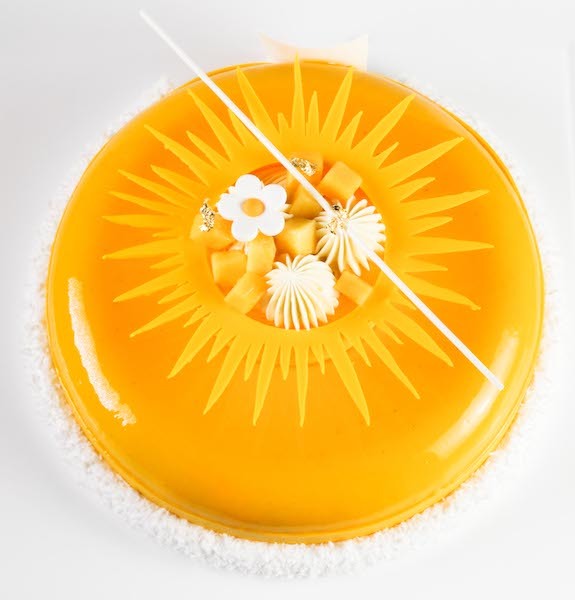 Master chefs like Johan Martin, Frederic Moreau, Joakim Prat and Joakim Soriano took workshops on modern French pastries & fine dining plated dessert. Chinese Master chef Han Li from Wangsen school was there to do his style of Bread display. Avant garde chef Martin Lippo share the advanced techniques on both Pastry & Culinary side focusing on Spherification, Sous vide, Foam, Liquid Nitrogen and many more. 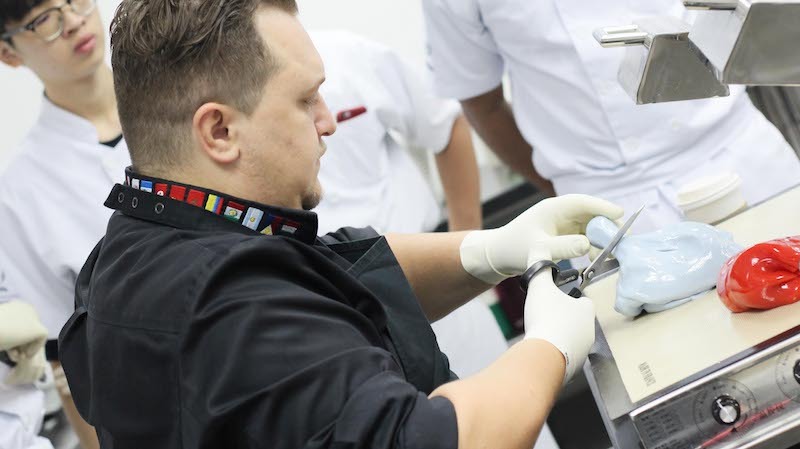 Emmanuele Forcone, the world Pastry Champion 2015, for 3 days has taken workshop about sugar display.